The UnCamp showcases innovative research, enables hands-on coding and demonstration sessions, and builds community around themes of computational text analysis, digital humanities, and digital pedagogy. 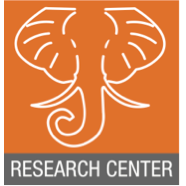 The HathiTrust Research Center (HTRC) invites proposals for the 2018 HTRC UnCamp to be held from January 25-26th, 2018 at the University of California, Berkeley. Proposals for panel presentations, lightning talks, and posters may address any aspect of digital text collections, computational text analysis, copyright and open access, digital pedagogy, and related topics, especially as these relate to the HTRC. 15-minute Panel presentations (with 5 minutes for discussion) that are relevant in areas of new frontiers for tools, services and policies related to non-consumptive research, or that showcase work being conducted using the HathiTrust corpus as source material. 5-minute Lightning Talks that briefly showcase research projects using HTRC; the development, extension, or implementation of HTRC and related tools; library and campus support of HTRC; or instances of HTRC in the classroom. Projects in development are encouraged. Projection will be available for slides and demos. Posters that address topics of interest to the HTRC community (e.g., computational text analysis, open access, digital humanities, digital pedagogy) and do not need to relate to HTRC directly. Poster authors will have an opportunity to brief attendees on their work immediately prior to a networking reception where the posters will be displayed. The HTRC is a collaborative research center launched jointly by Indiana University and the University of Illinois, along with the HathiTrust Digital Library, to help meet the technical challenges of dealing with massive amounts of digital text that researchers face by developing cutting-edge software tools and cyberinfrastructure to enable advanced computational access to the growing digital record of human knowledge. In years past, the HTRC UnCamp has brought researchers, developers, instructors, and information professionals together to showcase innovative research, participate in hands-on coding and demonstration sessions, and build community around themes of computational text analysis, digital humanities, and digital pedagogy. Proposals should be submitted through EasyChair.